The moon would have been a really interesting place to travel. Imagine being up there where there's zero gravity, looking at all those pretty stars. The picture alone in a VR is crazy. But no doubt, for such a vacation, I’d gladly pick up my luggage and take the next rocket heading to the moon (who wouldn't)? We all need compensation for all our hard work. Remember the proverbs, "all work and no play makes Jack a dull boy"? Besides, a time off work is also great for the health. Every one wishes to make their travel dream a reality but, when they just think of how big those dreams are, all they see is so much money in those pleasures. But what if I tell you, you could don't have to be wealthy for you to have an epic vacation or travel trip. All you need is to learn is how to save money. Here's how to get creative with the secret act of saving money. Budgeting is an essential part of one's life, and so should be taken serious even when planning on how to save money for travel. Learning how to budget and manage money is absolute key in planning how to save for your trip. First and foremost, you have to work out how much your trip is going to cost. With the help of Excel or any other software/app, you can create a spreadsheet tracking every purchase and payment. Keep this up for about a month or two in order to get a detailed expense of your income. A budget often serves as an eye opener. With your expenses and expenditures outlined, you can decide on what and what you should give some slack. Once you start tracking your spending from your budget, you will begin to realize the leaks in your finance. 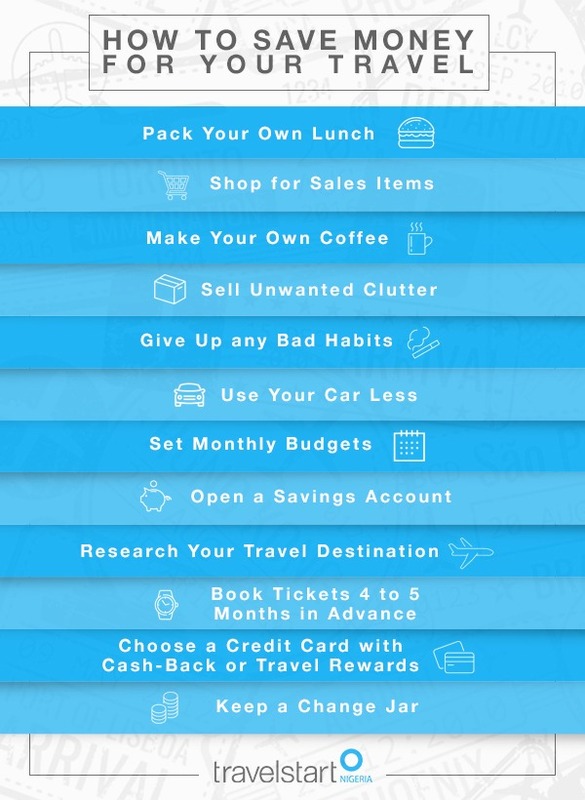 If you really want to save money for your next trip or vacation, you may as well, reduce unnecessary spending. Go grab a piece of paper and draw a vertical line down the middle of it. On the top left, title it "WANTS" while on the top right, title is "NEEDS". Now you have to be totally honest to yourself. Write on both columns everything you spend money on, your current needs and wants. If you can be as brutal as possible in distinguishing your wants and needs, you are half way to save enough money for your travel. This is another expert tip on how to save for a trip. Whenever you go shopping have a to-buy list. The deal isn’t just having the list, but sticking to it. Whether you want to save for a trip through a Flight Routes to Europe or America, the cost of accommodation shouldn't be ignored. There are various ways you could cut back on your housing expenses. Though this is extreme, but it is very much effective. While you do away with expensive mortgage insurance, you can as well make a little home improvement to save on your utility bills. Using Travelstart Nigeria is a sure way to cut down cost. You can book cheap flight, incredible hotels and lots more. Even if you are not sure where to spend your vacation, you can always get best destination inspirations. Vacations are all about experience, lots of experience! And not about stuff. So if you’re want the experience to be memorable, you should sell your crap. If you really want to save money for a trip, you actually need to "make lots of money". Money income flowing in, more money to save right? You should try your hands on a couple of other stuff that could fetch you money. Pick up a side job that would earn you some extra cash. For the number of people who find it tempting holding cash for a long time, a bank account should help you overcome the temptation of picking form your safe. If you don't have a bank account already, go get one. Since you intend to save for your upcoming trip, this account will be dedicated to the money you're saving for your vacation. This may sound greedy but it sure tops up your saving big time, depending on the kind of friends you keep. When you have occasion, celebrations or parties, instead of asking for gifts, ask for money. Saving money isn’t easy. It can be a daunting task. 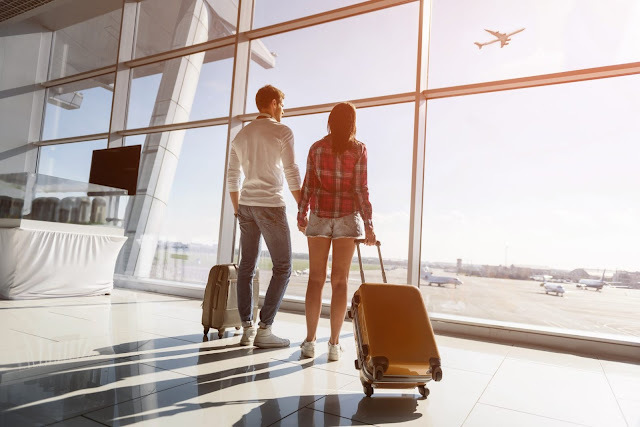 With these tips on how to save for travel, even if the ability to save wasn’t bred in your bones, you can definitely save up enough cash to take yourself around the world. I usually implore the No:6 option whenever I intend raising travelling funds - sell the whole crap! I just got this knack for achieving any aim I come up with but hope now other option above will prove a "very big helping hand"